For the first time on my life I had a company paid holiday on the day after Easter. So, Monday April 6th, I decided to go kayaking, and since nobody else I knew (meaning paddlers) had the day off, I went alone. It was a gorgeous day. One of those where the air temp is 70 degrees, but you’re not so sure about the water. 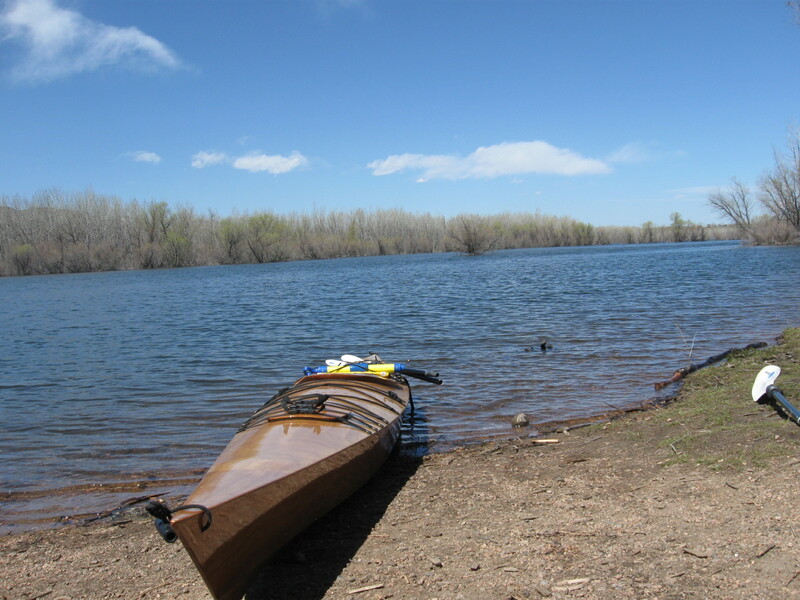 The reservoirs in Colorado get most of their water from melting snow up in the mountains, so if you don’t end up in the water, shorts and a t-shirt would be fine, but if you get swamped by a large boat and end up in the water for a bit, some insulation may save your life. I opted for some neoprene . . . for starters. My destination was Chatfield State Park which is basically at the southwest end of the Denver Metro area. I’ve driven by the reservoir many times as C-470 runs right by it, so I’ll pass it on the way to skiing or on the way to soccer fields from back in the day when I coached traveling soccer teams. I put in at Eagle Cove as per the suggestion by the friendly park attendant at the gate. There was a nice launch/landing spot and a large parking lot. Once in the water I headed south. The breezes were light and it was warm and sunny. Having arrived at 11AM, and then put in just before noon, I paddled for a couple miles and then stopped for lunch. 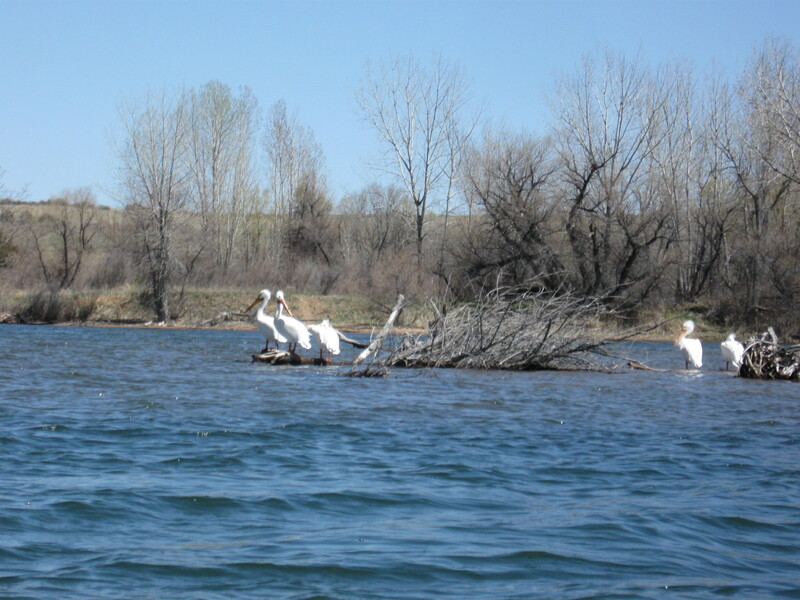 I did see one heron and a lot of ducks while paddling in this general area after lunch, but after I headed north and towards the east shore, I passed a few pelicans roosted on some dead trees. As I approached the No Wake boundary, and considered whether or not I would cross the open water, I landed on the shore and slipped on my dry suit. I must admit, I get a little paranoid paddling by myself on a lake with fast moving motor boats. Generally, they’re not a problem and I have practiced a wet re-entry should I flip, but the wind was picking up and I really didn’t want to find out how easy, or difficult, it is to get back in a kayak in wind and waves. I paddled around to the south boat ramp and marina area, landing at the peninsula across from the marina. A little break and a walk around revealed another No Wake boating area on the other side. It wasn’t particularly busy at the marina, but I noticed signs which said that they limit the number of boats during peak season. Being so close to Denver, it must get pretty busy. I got back in and headed back to Eagle Cove. 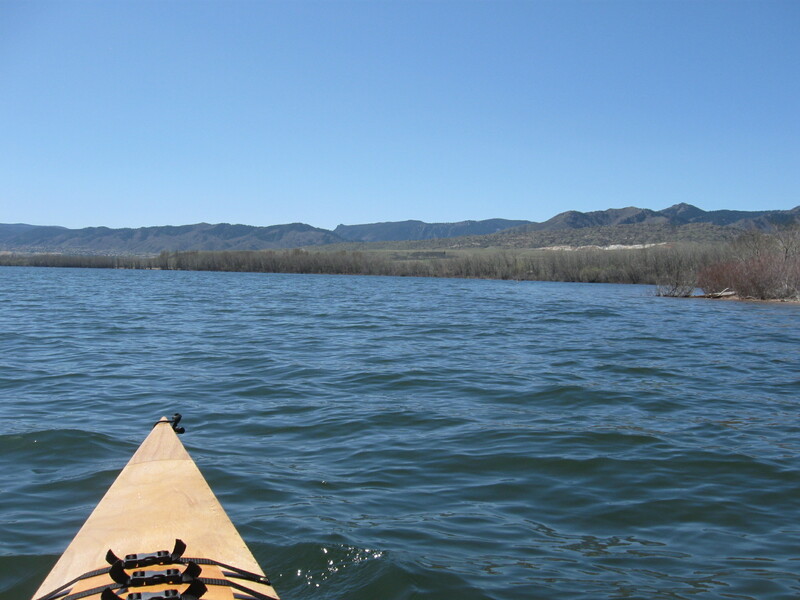 Overall, it was about 5 miles of paddling, and even with the wind, it was a very nice day to be out on the water. 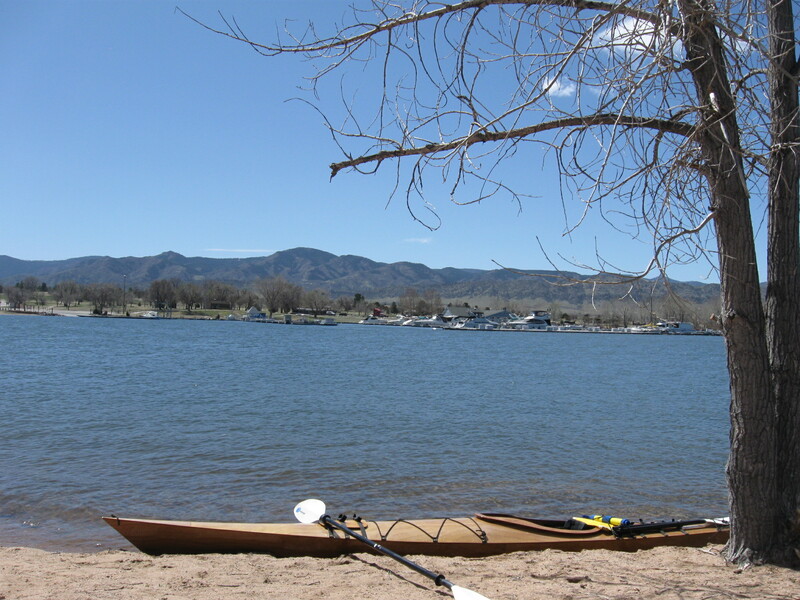 This entry was posted in Kayaking and tagged Chatfield, colorado, Kayaking, Paddling, State Park. ← A Neat Toy or a Mechanical Breadboard?